GRACE, is the Peace of God given to the restless. • GRACE is harder to get away from than it is to find. • GRACE reaches across the gap and beckons. • GRACE is an invitation to a relationship. • GRACE is a Person, not just a Power. • GRACE… “What I did on the Cross is to take what is UNFORGIVABLE and make it FORGIVABLE! • GRACE is; At times a set of guardrails. At other times it’s a roadblock. At times the red light in your rear-view mirror. At times an arresting officer. • GRACE can be gentle. GRACE can be a nudge. GRACE can be a 2×4. • GRACE and Ur EGO will never be friends. They are, in fact, incompatible. That may seem strange, because they’re roommates. They both live in U! 50• GRACE Therefore, since we have a great high priest who has passed through the heavens, Jesus the Son of God, let us hold fast our confession. Great work. 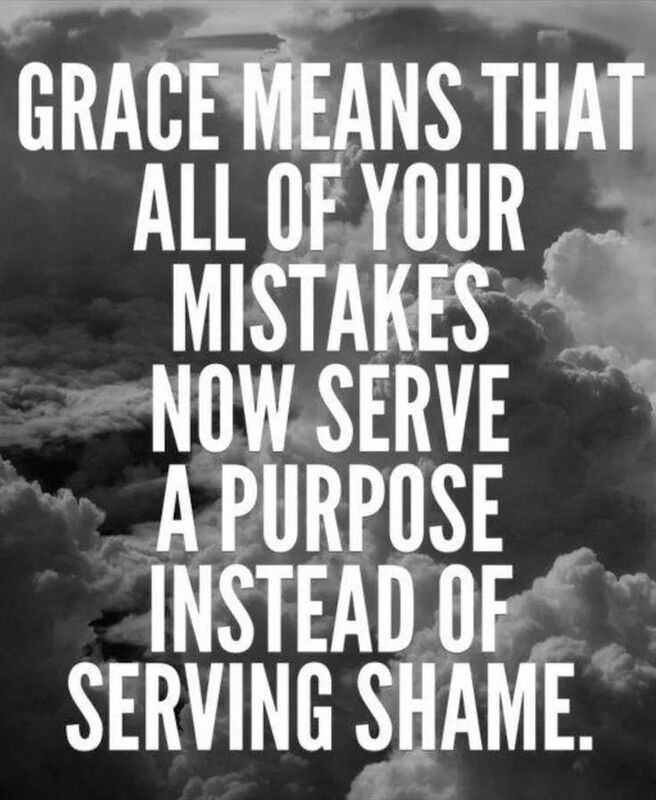 Grace isn’t one of the things we need; Grace is the only thing we need! His grace is sufficient enough for me and for all. The Lord is all knowing, all seeing, all we need. He’s all I need. All my life, I have heard it preached, but until I came to him, it didn’t carry that strong a message like it does now! Like my uncle Jim, I grew up in church. I am so very thankful to know the Lord! GRACE!